AANP extends its sincere gratitude to those who attended this weekend’s AANP Live: 2019 Diabetes Virtual Conference. Live Day was filled with six continuing education (CE) sessions on primary care and a number of specialties. Attendees were able to follow the path of our patient, Barbara, through comprehensive treatment for her type 2 diabetes mellitus (T2DM). Whether you participated in the in-depth discussion in the Networking Lounge, spoke with exhibitors or downloaded T2DM resources, AANP would like to say thank you for helping make this conference a tremendous success. Congratulations to everyone who secured a position on the Leaderboard and to the top three point earners who won our grand prizes! What if You Couldn’t Join on Live Day? If you registered* for the AANP Live: 2019 Diabetes Virtual Conference but were unable to join us on March 23, there’s good news! The virtual conference environment will be open until April 7 for you to watch the recorded sessions, explore the exhibit hall and download handouts or post-test questions. To claim your CE credit, you must watch all six sessions, complete the evaluation and pass the post-test, available in the AANP CE Center. Have a question about claiming your CE? Contact AANP at 512-505-0242. If you weren’t able to register for the virtual conference, don’t worry. AANP has many great educational and networking events throughout the year, including the upcoming 2019 AANP National Conference in Indianapolis June 18–23. Check back often for the latest list of webinars, conferences and other live events! *Registration is now closed for this event. 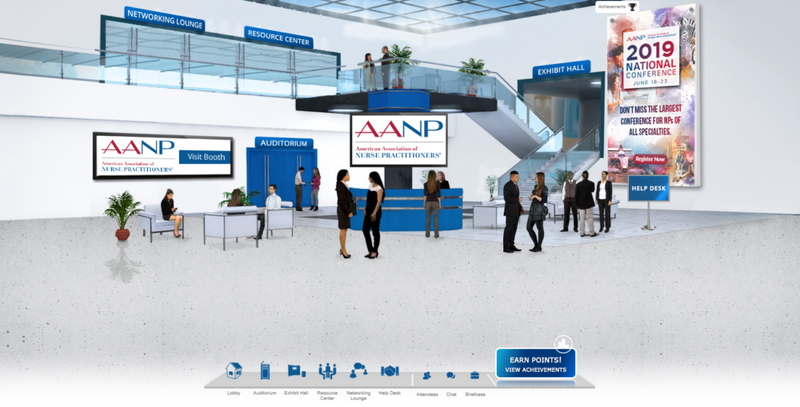 See upcoming AANP events.